A year to the day after the terror attacks in Belgium on March 22, 2016, the British Parliament at Westminster was in lockdown on March 22, 2017. Analysis of such attacks provides valuable lessons that should inform a counterterrorism strategy. By JASMINE OPPERMAN. Early on March 22, 2016, several explosions were heard in Brussels: two large explosions at the Zaventem airport, followed by another one at the Maalbeek metro station in central Brussels, close to EU buildings. The Islamic State claimed credit for the attacks, which left 34 people dead and more than 200 wounded. 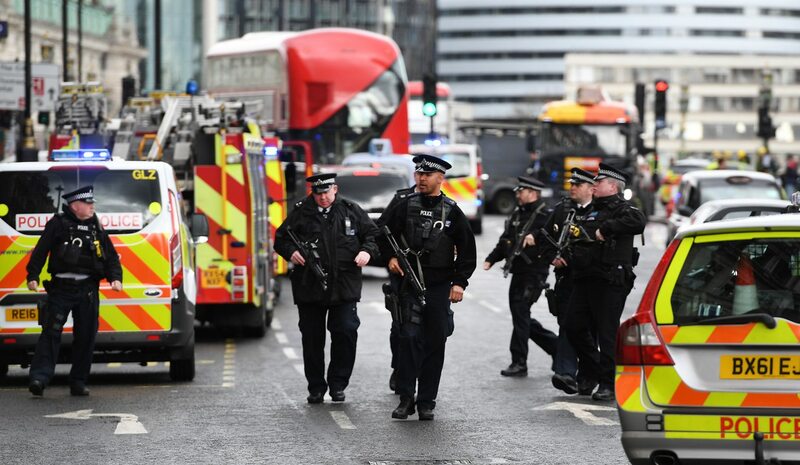 A year later, on March 22, 2017, a shooting incident and reports of a vehicle ramming into pedestrians outside the UK Parliament served as a reminder of how vulnerable countries remain to attacks. Vulnerability to attacks remain significant, irrespective of a US Department of State’s statement in which it refers to the 23 coalition partners that have over 9,000 troops in Iraq and Syria in support of the effort to defeat IS as well as the “liberation of 62% of the terrain IS once controlled in Iraq and 30% in Syria”. From a counterterrorism perspective, countries targeted have reported an increase in the successful prevention of terror attacks, such as Germany, France and Belgium. It must, however, be noted that irrespective of detailed strategies, the sustainability thereof remains problematic. South Africa has not encountered similar direct attacks, but yet these attacks contain important insights in studying the nature of such atrocities to inform a pro-active counterterrorism strategy. There is currently an overwhelming focus on foreign fighters returning from the Caliphate to countries of origin as the Islamic State is losing territory, with the inevitable question: will this lead to an increase in attacks? In the case of South Africa this seems unlikely. There have already been those from the Caliphate now living what is described as “a normal life”. During an interview with an Islamic State loyalist in South Africa, the message was simple: “They are not part of us and them love talking to security forces makes it dangerous – I have no need to talk to them”. The small number of South Africans living in the Caliphate (confirmed cases of 34) means that tracking their movements and communication would be easy and any planned attack vulnerable to detection and prevention. Good news as it may sound, there is another side to this coin: social network interaction remains high and frequent and by implication the “far Jihad” has become a “near Jihad” for wherever the opportunity prevails. The use of social networks varies from open Telegram channels where calls for attacks are made to closed and encrypted chatrooms where more detailed interactions are a daily occurrence. Social network calls for attacks are not only confined to the Islamic State but also al-Qaeda. Image from Islamic State video: “You Must Fight Them, O Muwahhid (How to attack kuffar, and how to make explosive devices)” – Wilayat Raqqa circulated via Telegram on November 26, 2016. The video is one of the clearest explanations on how to create lone wolf attacks in the West with easy “how-to” tips in both English and Arabic subtitles. South Africa is part of this reality. South Africa’s most likely vulnerability for a terror attack must be acknowledged as one already present on home soil, where a sympathy nod of the head for the Islamic State/AQ is present. Countering South Africa’s vulnerability to an extremist attack must be informed by a well co-ordinated and skilled analysis corps that monitors extremist-related social network accounts on a 24-hour basis, translators as well as IT specialists able to hack into private chatrooms. Those deployed at such a “monitoring room” should have an acute knowledge and understanding of how extremist propaganda works, how messages are relayed and which accounts have direct relevance to South Africa. Such a capacity will enable pro-active detection of any suspicious interactions that provide guidance and direction for an attack and recruitment. There are already clear indications, derived from de-radicalisation programmes, of specific individuals from the Islamic State focusing on recruitment in South Africa, with the call to remain at home and create a more organised presence. Islamic State Telegram Channel calling on its supporters to wage jihad against social media and resist oppression – distributed on March 22, 2017. Lone wolf attacks will always present the most difficult to detect. However, monitoring direct engagements will allow for at least a list of individuals most likely to engage in such attacks and hence narrow the focus.